In 1994, the Neighborhood Investment Council (NIC) was created as a task force by the United Way Planning Committee. Its mission was to direct financial and other resources into Neighborhood Associations, with the goal of bringing neighbors together for common purposes, and strengthening the connections among neighbors. In 1996, Neighborhood Block Grants were initiated through NIC, allowing them to provide small grants to neighborhoods. In January 1999, a neighborhood coalition was established that became known as Neighborhood Associates. Neighborhood Associates cooperated with the United Way to coordinate the Livable Neighborhoods planning exercise as part of the United Way Comprehensive Community Assessment. 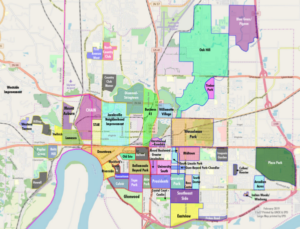 By 2000, Neighborhood Associates had changed their name to United Neighborhoods of Evansville (UNOE). At that time, there were 34 member Neighborhood Associations. UNOE received their State incorporation status in February 2001. On August 20, 2001, UNOE received 501(c)(3) nonprofit status, designating us as a nonprofit organization. Since 2000, UNOE and the City of Evansville have been partnered in our efforts to preserve, enhance, and promote all Evansville Neighborhoods.